So I've been debating what to write about for my first blog post, and as I was sitting at my desk, staring at my reflection in the mirror behind my laptop (I'm not vain, I was analysing myself to see if I could review my mascara or my OOTD or something), I realised that I had totally forgot I'd gone blonde just weeks earlier. "How does that relate to this blog post, remembering you dyed your hair? ", you must be asking. Well, I remembered wanting to change from my natural dark gingery/coppery toned hair to blonde, and I wanted to make sure it went perfectly by reading lots of reviews and forums and researching the risks of bleaching your hair, because I was dreading it going orange or streaky or patchy! Once I covered the actual method of bleaching your hair (I might do a separate post on that if anybody is interested), I realised that another common issue that people are faced with when bleaching their hair is the terrifying split ends and all-over dryness that I definitely wanted to avoid. 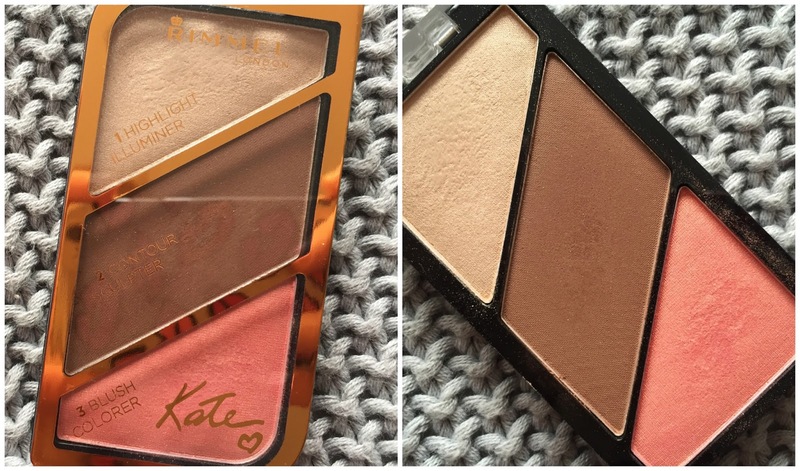 Cue opening up the Superdrug website on my laptop and entering 'shampoo' into the search bar. As you already know, there are hundreds of shampoos and conditioners to choose from, so how was I meant to know which was the best? I could do a hell of a lot of research, but I would go grey before I had a chance to take the plunge into the pool of blonde! It was only by chance that I spotted the word 'platinum' in the corner of my eye as I frantically scrolled, automatically linking 'platinum' with the idea of platinum blonde hair. 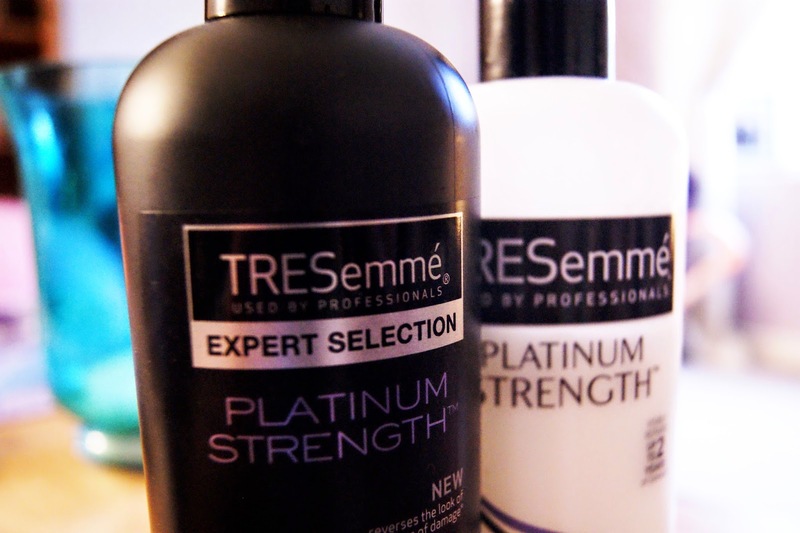 Clicking on the TRESemmé Platinum Strength shampoo has been one thing I will never regret (and I regret a lot of things). TRESemmé claims that this product 'visibly repairs up to 2 years of damage in just 5 uses* giving you stronger, more manageable and beautifully healthy hair. (*In 5 uses when using Shampoo & Conditioner as a system vs non-conditioning shampoo). ', and boy did they prove themselves with this product. At only £4.99, this product is a steal that will leave your hair glossy and smooth and you'll wonder how you ever managed your hair before! I could not praise this product enough, as even though I endured over three hours of bleaching and dying (I know, my poor hair! ), this product has restored it to it's natural, silky soft and glistening state that it was in when it had no dye on at all, combining it with the TRESemmé Platinum Strength conditioner of course. These products are absolute winners and I would recommend them to anyone who has super dry hair, whether it's from over-straightening their hair or dying it multiple of times like I have - one hair wash with this stuff and you'll never look back! 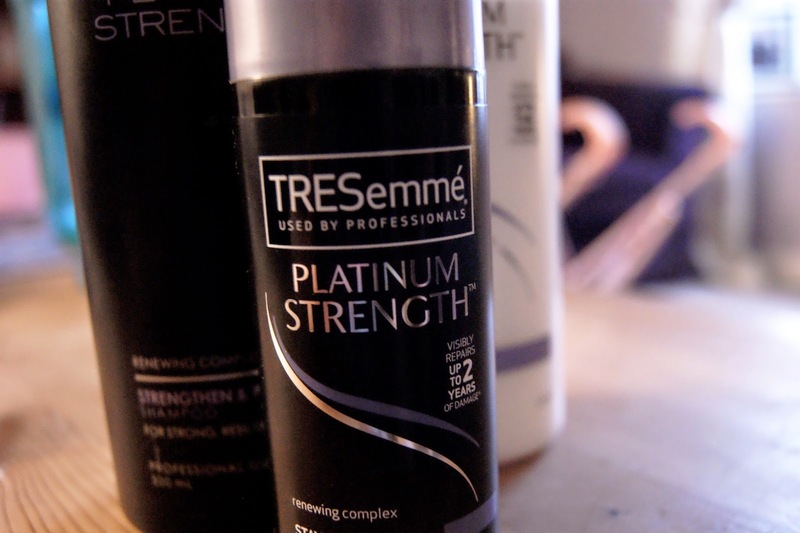 When I was picking up these items in Superdrug, I noticed that TRESemmé had a 3-for-2 offer on their hair products, so I also picked up their Platinum Strength leave-in treatment to put on after it had been washed and when it was still wet - perfect to use to give your hair a final moisturise before being dried! Overall, I think these products should be owned by everyone who has dyed or dry hair, because you honestly have been missing out!